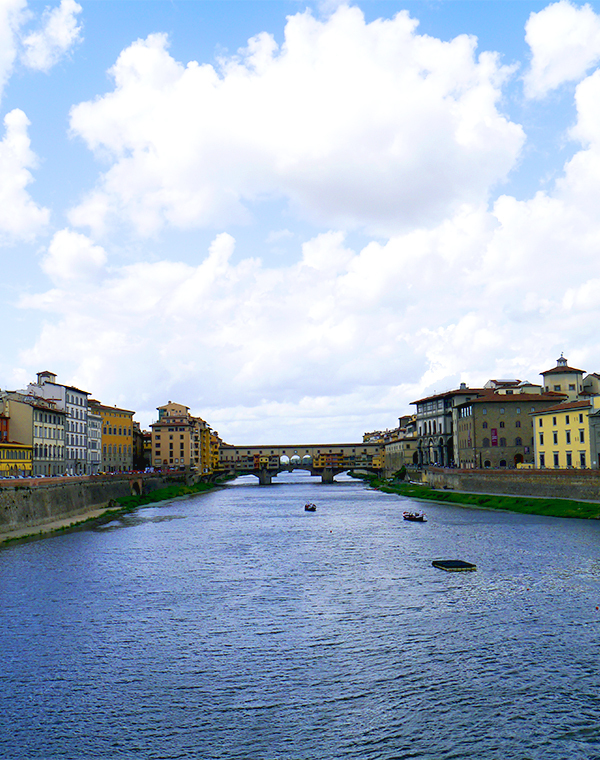 First of all, Florence wasn't anything at all like we expected. 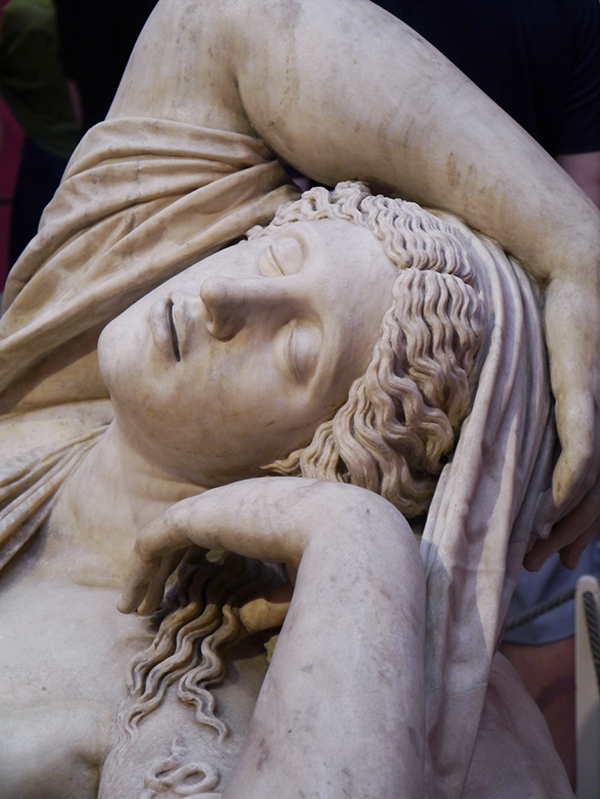 Based on photos, repeated viewings of A Room With A View, and other people's glowing travel recommendations, I was expecting a tranquil medieval city with amazing architecture and art history everywhere. But what I didn't anticipate were the crowds and the chaos. 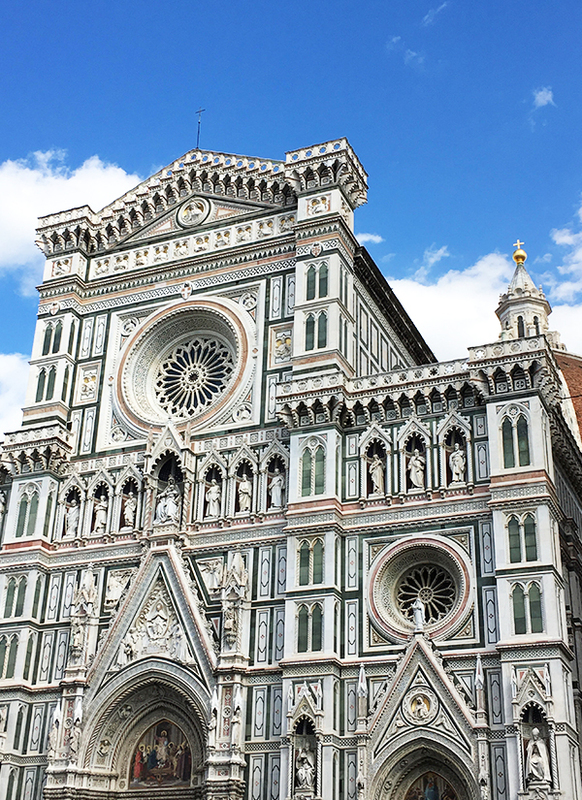 Being a medieval city, Florence's idea of a "sidewalk" is a narrow ledge of stone no wider than 1-2 feet around the edges of buildings; that means pedestrians, bicycles, and cars are often sharing the main road. It'll take you twice as long as you think to get anywhere on foot because you're constantly stopping for tour groups or vehicles to pass by. 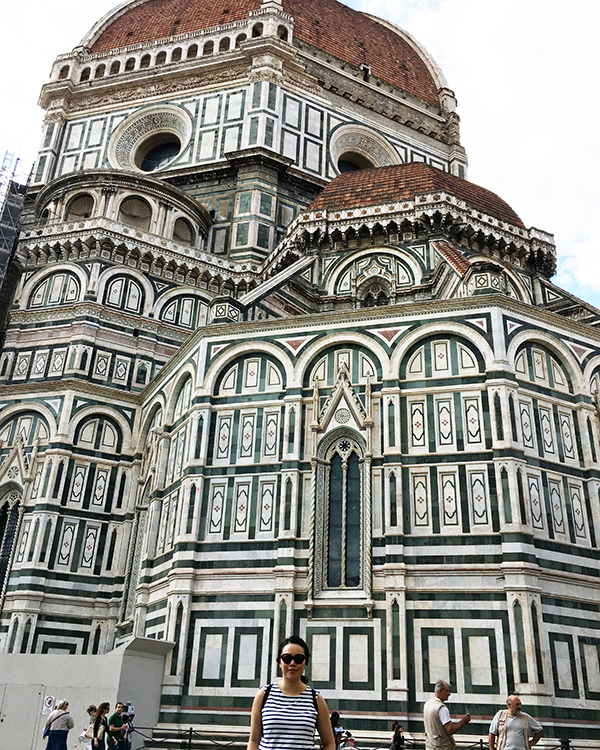 And unless you get up at 6am, you can forget about getting photos in front of the Duomo or in the courtyard of the Uffizi Gallery without hordes of tourists in your shot. My first day there, I rolled my ankle when I stepped into a hole the size of my foot where a cobblestone had come loose. 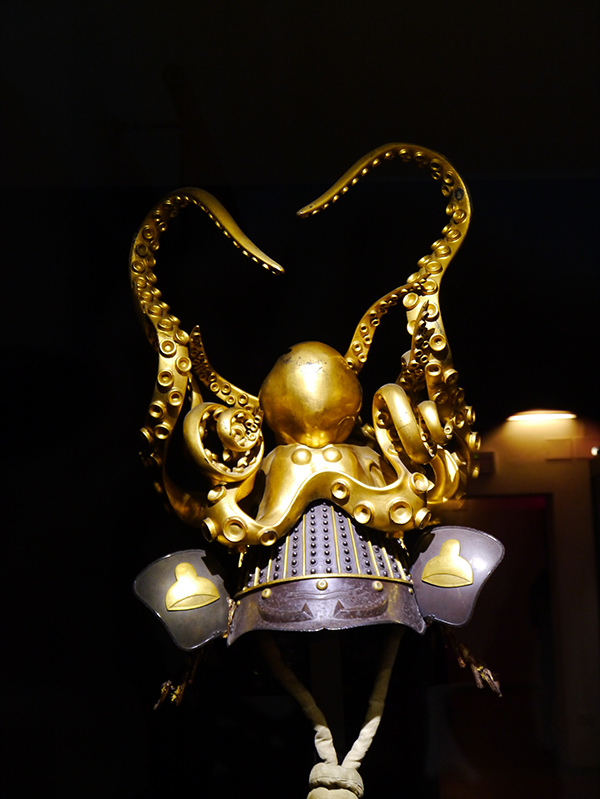 On the second day, we found ourselves walking an hour to and back from a museum in the suburbs because traffic was so snarled the bus couldn't get there. (According to our Airbnb hosts, the congestion was due to construction of a tram on several main roads.) 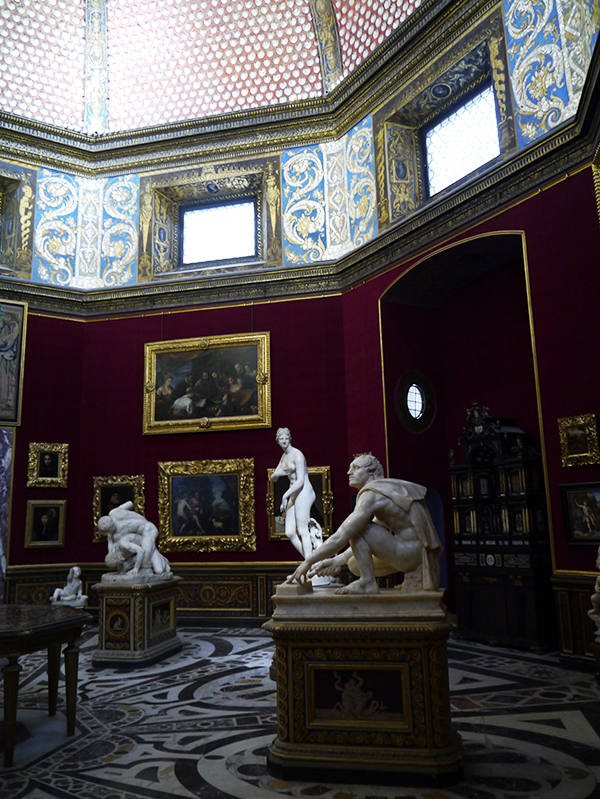 Then, hurrying back downtown and trying to make our reserved admission time at the Uffizi, I turned a corner too close and my hand clipped a woman's burning cigarette. Ouch. 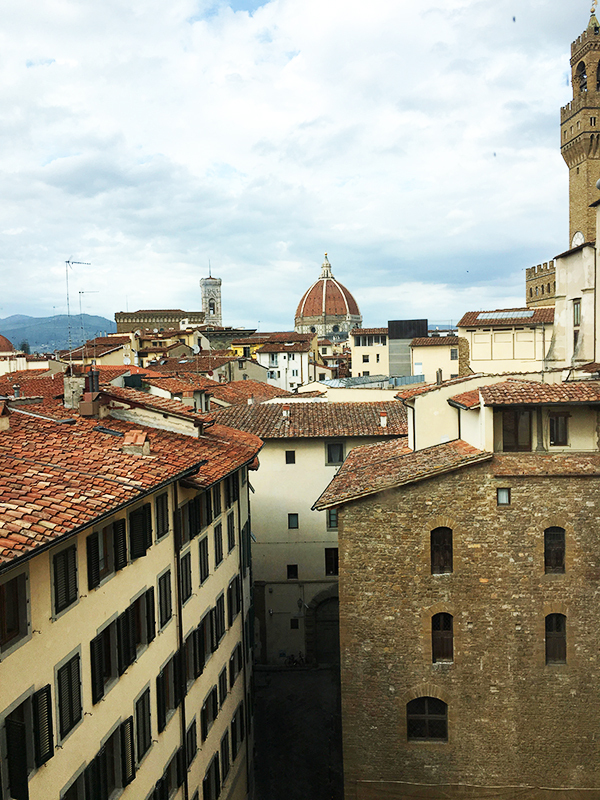 Despite these grievances, I could see myself really falling in love with Florence if we had visited during a slightly off-peak time. 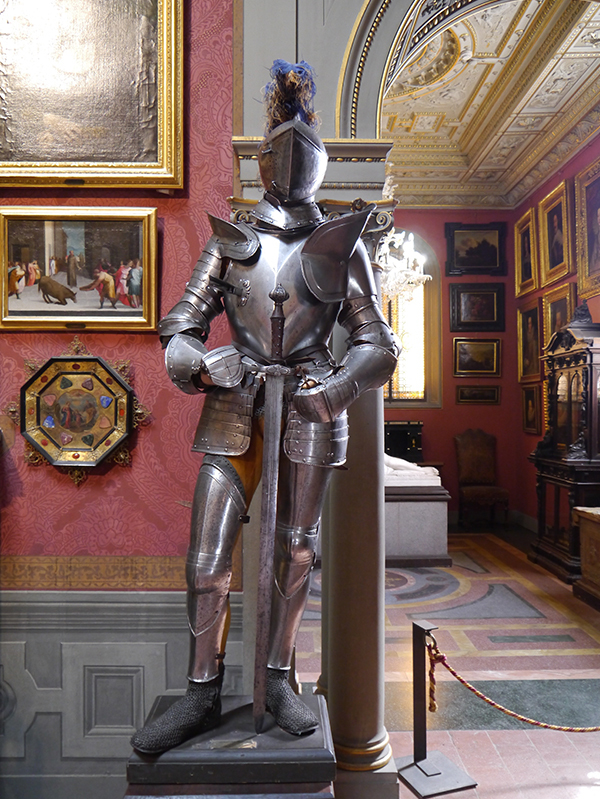 We ate bistecca alla Fiorentina and sampled mouthwatering pizza at the Mercato Centrale; we saw samurai helmets and suits of armour at the Stibbert Museum; and we were in awe of the art at the Uffizi. 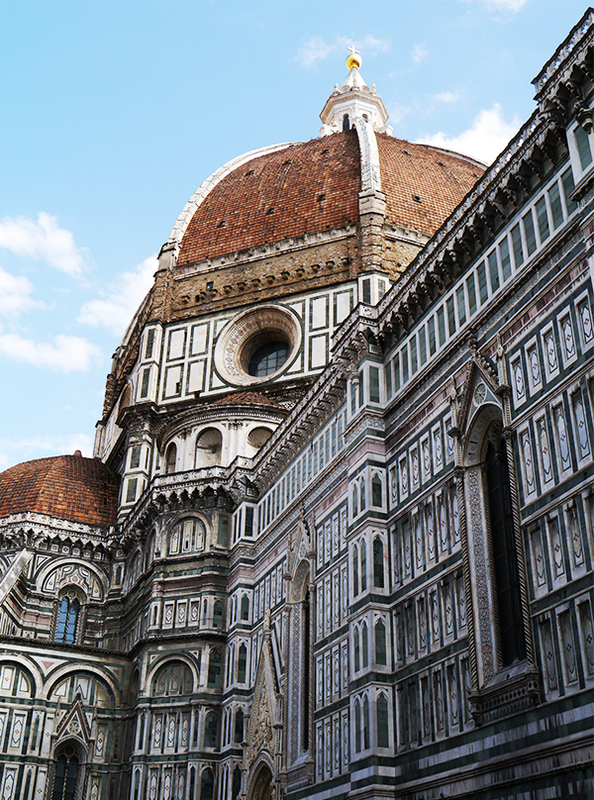 I never tired of feasting my eyes on the exterior of the Duomo no matter the hour of the day. 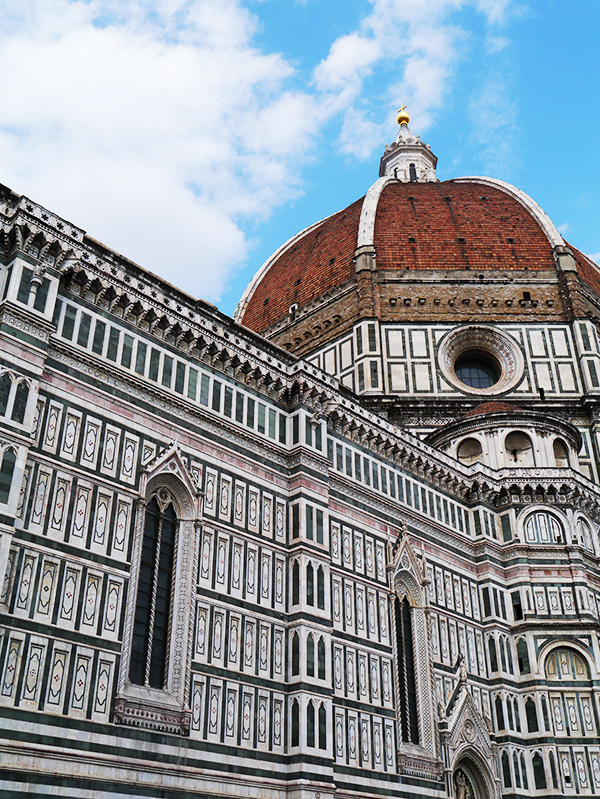 Compared to Venice, Florence also seemed more vibrant and young too, with livelier nightlife. 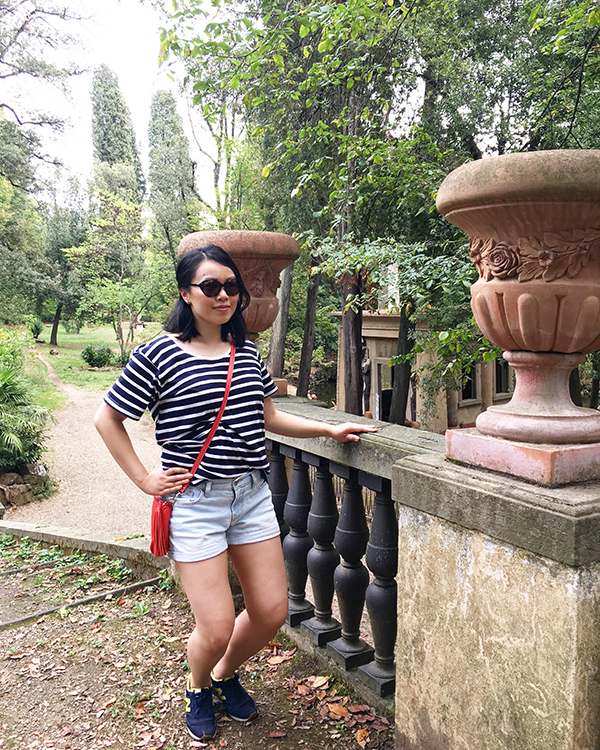 As always, travel recommendations are after the photos at the end of this post, and in case you missed it, here are my recaps of our time in Rome and Venice! 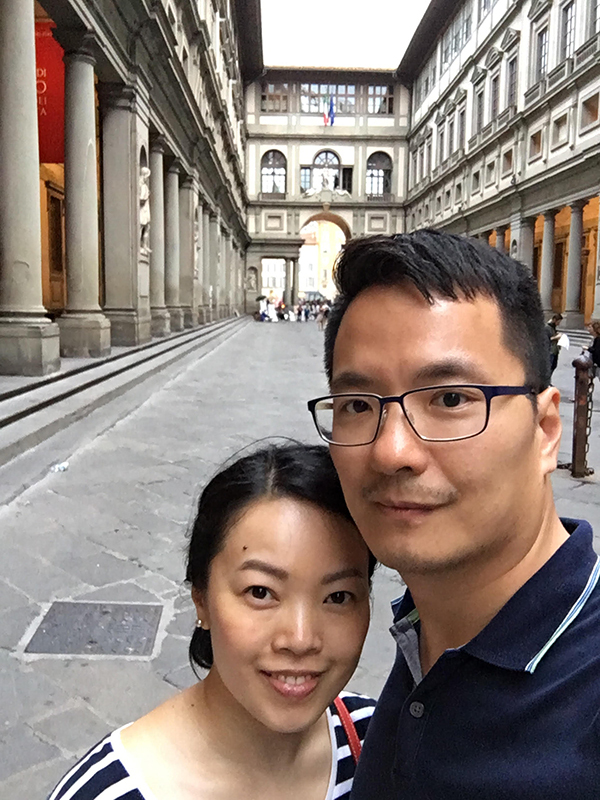 We opted for an affordable Airbnb in the heart of Florence, right next to the Palazzo Vecchio and within walking distance of all the major sights. 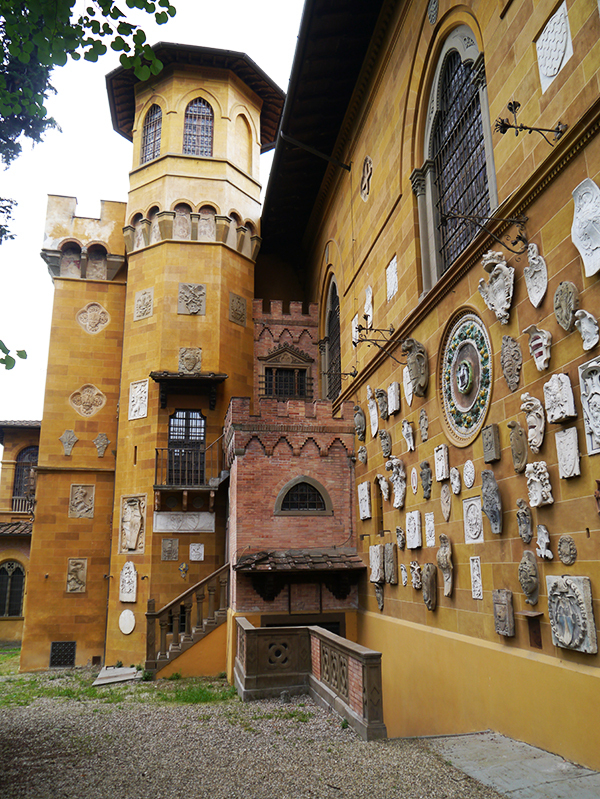 And bonus: you can see the crest of Cosimo de Medici right outside the window! 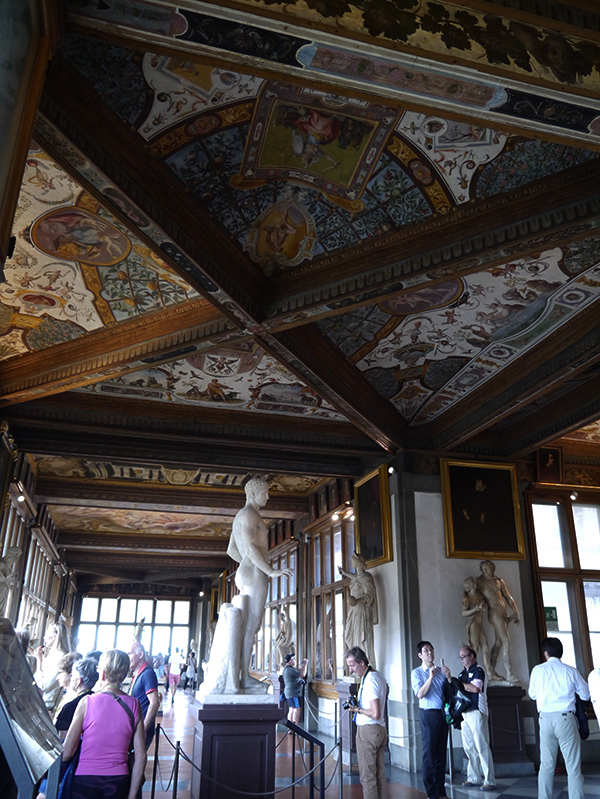 There's no shortage of world-class museums in Florence, but also long lines and huge crowds waiting to get into them. Make online reservations or book a skip-the-line tour if you can. When you make an online reservation, you request a time that works best for you and the museum will try to match it or come close to it. Sometimes that means your reservations might conflict. 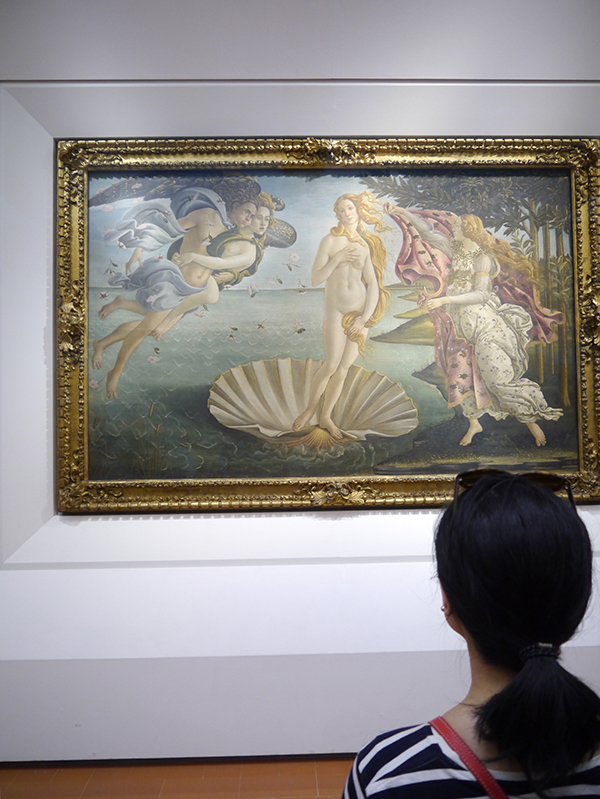 We never made it the Duomo for that very reason, but we were glad we made it to the Uffizi. For a unique museum experience off the beaten path with no crowds at all (seriously, there were only 6 of us in the tour group), head to the Stibbert Museum. 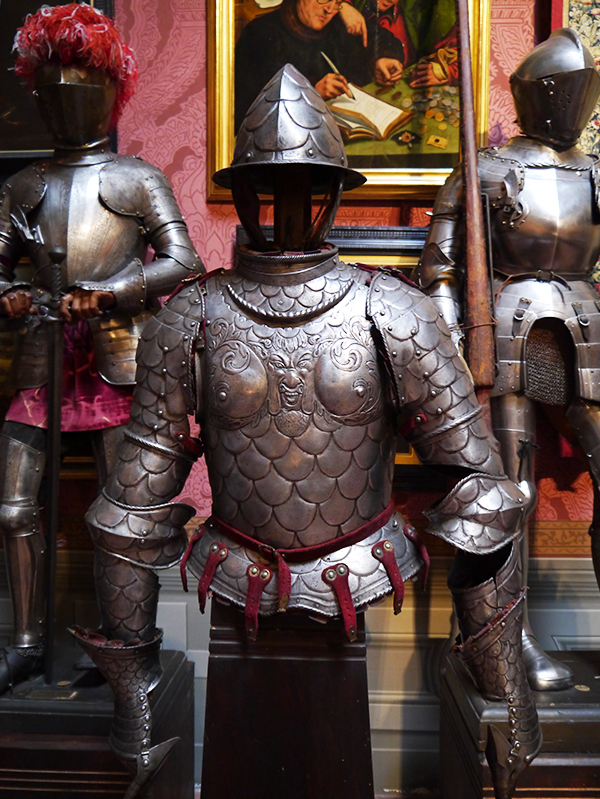 This villa houses thousands of pieces of antique arms and armour collected by Frederick Stibbert, including the largest private collection of Japanese arms and armour outside of Japan. Hubs is a military history enthusiast who loves this sort of thing, so the Stibbert was right up his alley. 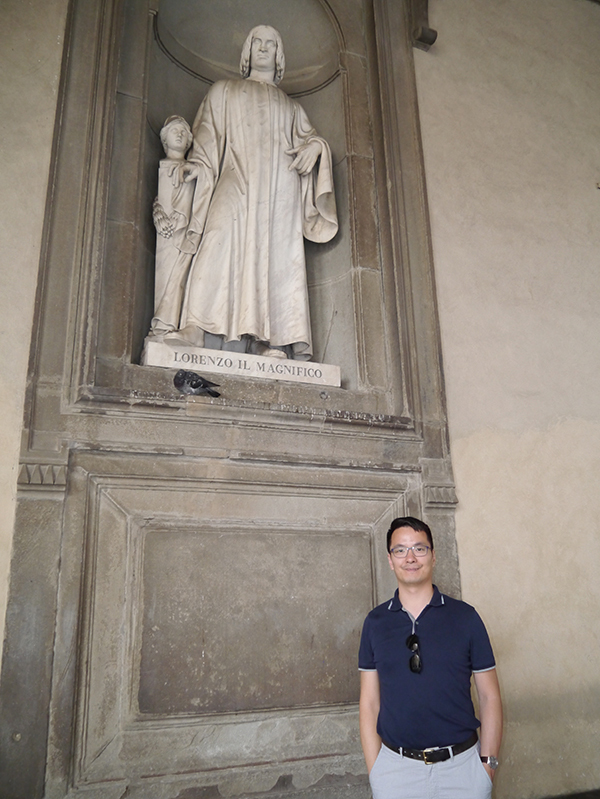 My only regret about Florence was that we were so caught up with museums, we never made it to the Officina Profumo Farmaceutica di Santa Maria Novella, the oldest pharmacy in the world. 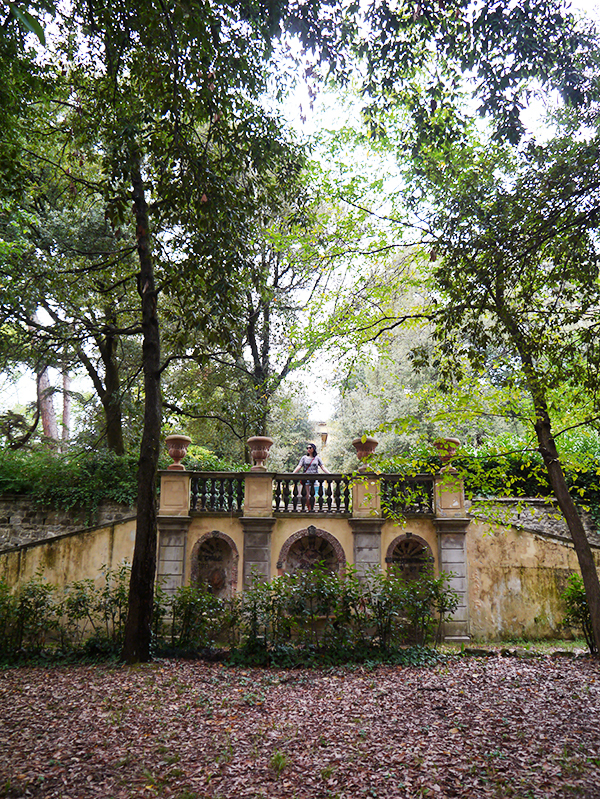 (I later visited its Rome outpost.) Make room in your carry-on suitcase for some of their beauty goodies, including a hand cream so good that Hubs asks for it by name. For less splurge-y but still fun beauty shopping, I was a huge fan of the erbolario or erborista—these are "herbalist shops" that sell a variety of natural remedies, supplements, and beauty and skincare. Inside you'll find hyaluronic acid gels and serums, soaps and lotions in a variety of scents (including unusual ones like tomato and lettuce), natural lip balms—the works. These shops are often frequented by locals, so there's pretty much a 50/50 chance you'll be assisted by someone who speaks zero English. Neighbouring small town Lucca (about an hour's train ride away) is excellent for Tuscan ceramics, fancy olive oil soap, and open-air flea markets. 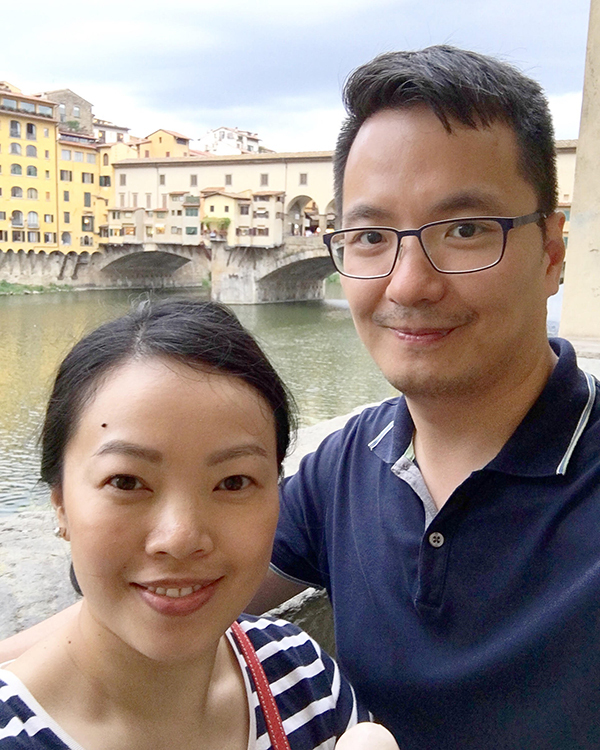 According to our Airbnb hosts Natalia and Alex, the sweet spot for a Florentine steak's price is 35 euros: 45 euros and you're getting ripped off, 25 euros and you're getting an inferior cut of meat. 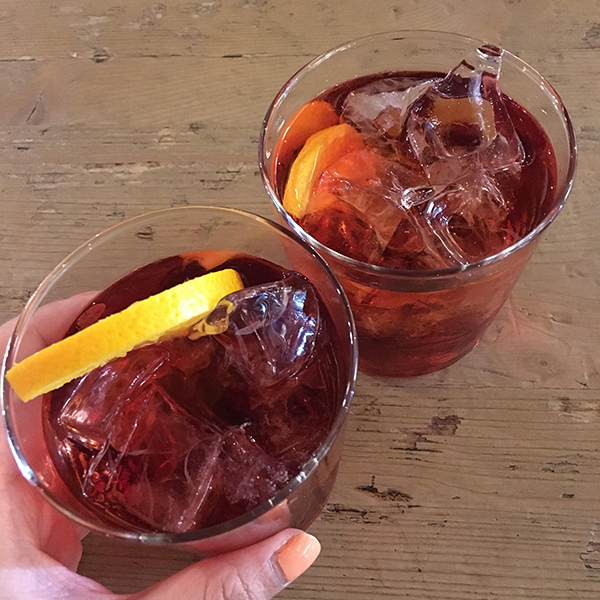 On their recommendation, we went to Ristorante La Falterona on our first night in Florence and loved it. 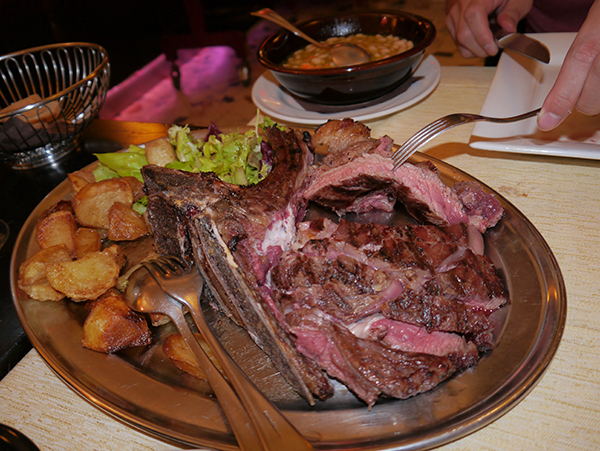 The large cut of meat is seasoned and cooked medium-rare, then brought to the table and expertly carved off the bone by the waiter. This is a dish meant for sharing and quite heavy—you'll probably want to opt for more veggie than carb-heavy side dishes. 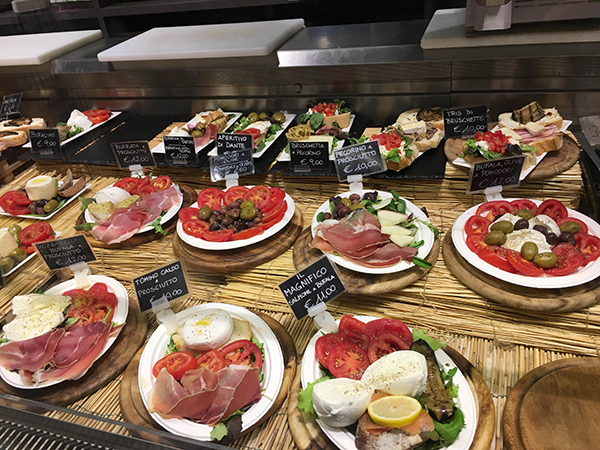 Otherwise, we ate our dinners at Florence's Mercato Centrale. Picture a public market like Granville Island, but every vendor has an Italian cuisine specialty, alcohol is served, there's plenty of seating everywhere, and the space is open until midnight with free Wifi. 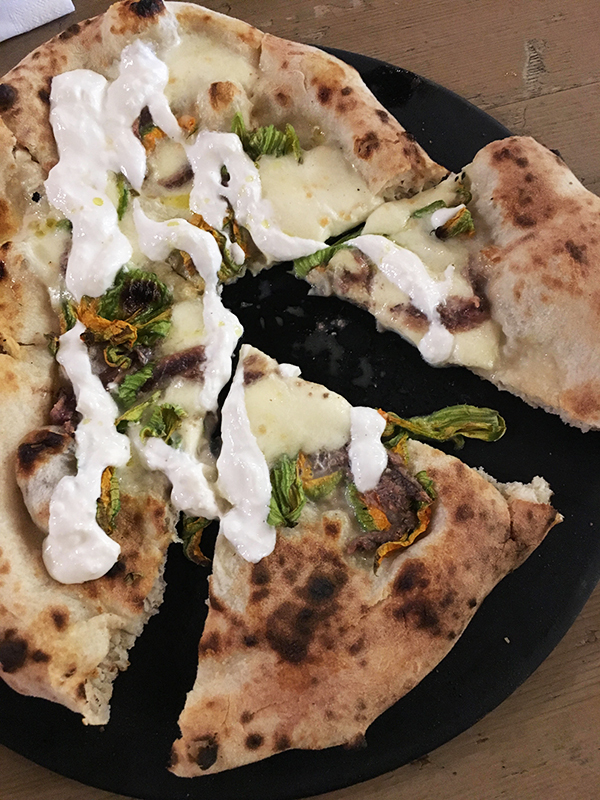 The pizza-maker in the Mercato Centrale is excellent—we had Il Magnifico (a concoction with white sauce, squash blossoms, and anchovies) two nights in a row, it was so good. 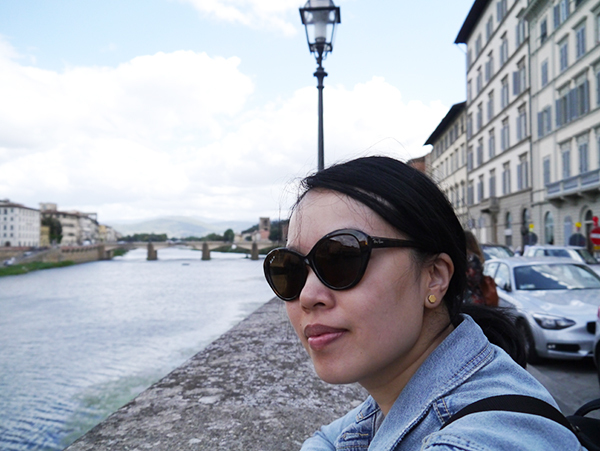 On the recommendation of my friend Anya, we booked a day trip to Lucca to escape the hustle and bustle of Florence. 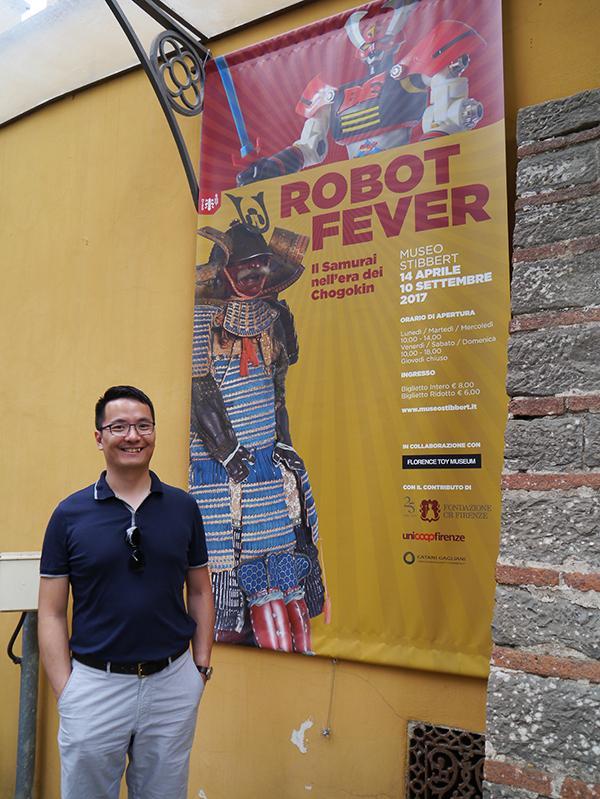 Lucca is a medieval city with charm to spare, and because it was never bombed during WWII, the walls surrounding the town (which once made its wealth in brocade) are still intact today. You can even rent bikes and ride the circumference of the city. Interesting! Rome didn't feel as crowded to me because everything is built on such a huge scale, the crowds can spread out across huge monuments and avenues.